Consumer PCs will finally benefit from PCIe 4.0 devices this year thanks to AMD's support via the Ryzen 3000 CPUs, but the high-end sector will also be getting a taste of the PCIe 5.0 some later in 2019, and the two standards are expected to coexist for a few years. PCIe 5.0 will push the theoretical bandwidth to 128 GB/s on x16 duplex lanes running at 32 GHz. Even though the PCIe 4.0 standard has been available for device integrators since 2017, there still are no consumer-grade products that support this technology. All the latest NVMe SSDs are only providing support for the PCIe 3.0 X4 standard, and even so, the performance gains over SATA SSDs are substantial. AMD’s Ryzen 3000 CPUs are said to be among the first CPUs to offer PCIe 4.0 support, which will increase the bandwidth to 64 GB/s on x16 duplex lanes. 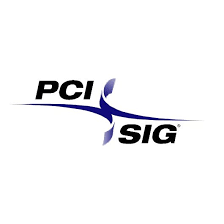 Meanwhile, the PCI-SIG released V 0.9 specs for the PCIe 5.0 standard, and V 1.0 should become available in the first quarter of 2019. 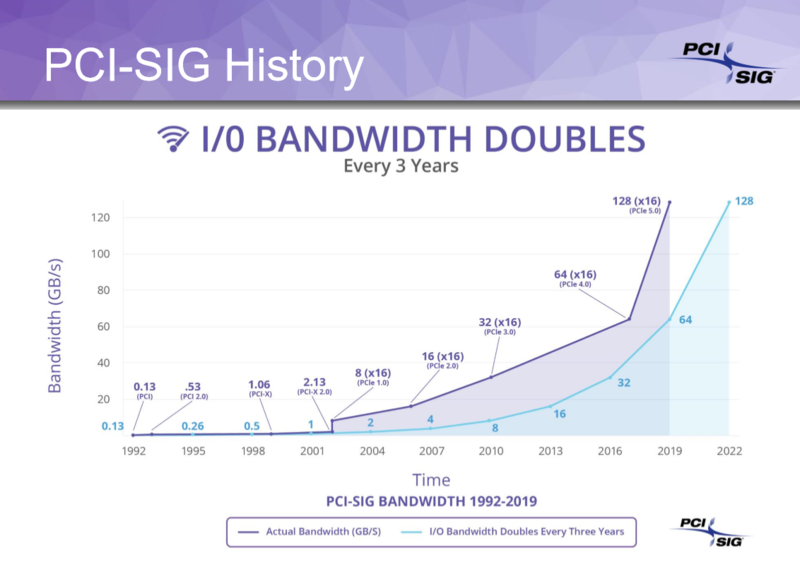 The PCIe 5.0 standard will further expand the theoretical bandwidth capacities to 128 GB/s on x16 duplex lanes running at 32 GHz. PCI-SIG expects the PCIe 4.0 and PCIe 5.0 standards to coexist for a few years, but there is no doubt that PCIe 4.0 will be a short-lived standard. Other features introduced by the PCIe 5.0 standard include electrical changes that improve signal integrity, backward-compatible CEM connectors for AIBs and extended compatibility with versions 4.0 and 3.0., plus reduced latency and increased tolerance to higher signal loss. While the first PCIe 5.0 devices will most likely start popping up in the second half of 2019, these will be primarily aimed at the high-performance data centers and computing environments. Desktop PC users will probably have to wait until 2020 to get their hands on PCIe 5.0 NVMe SSDs and GPUs. Consumer-grade PCIe 4.0 products are scheduled to be released together with AMD’s Ryzen 300 CPUs, so gamers would still get a taste of that increased performance.